…But he has had dealings in the country. We took a look at a few of them. In 2013 Trump made millions when he partnered with Russian billionaire Aras Agalarov to host Miss Universe in Moscow. An attempt to build a Trump Tower in Moscow fell through before it began. CNN didn’t find any projects that were actually completed in Russia. In a 2007 deposition, Trump was asked about the proposal for the project. Trump put down no money, slapped his name on a brand and claimed royalties. Drinks Americas Holdings actually made the vodka. However, the company’s former CEO told CNNMoney they didn’t make much headway into the Russian market. All they got was a single deal to sell 8,000 cases of vodka, a fraction of the 100,000 cases they sold worldwide. There’s no evidence that it’s still being sold. 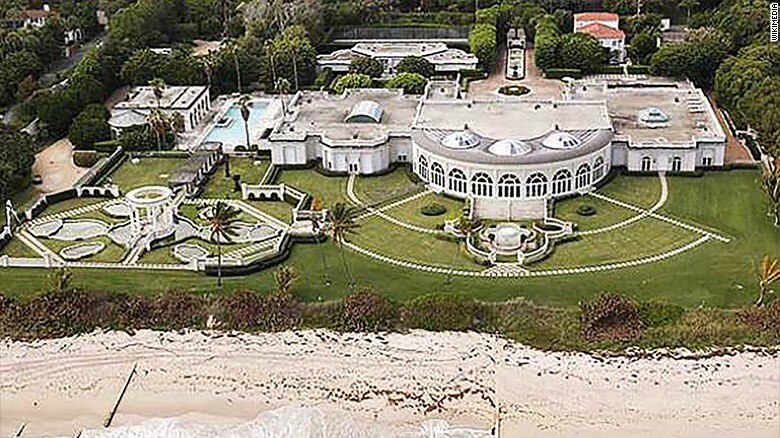 Trump sold a mansion in Palm Beach, Florida, to Russian billionaire Dmitry Rybolovlev for $95 million. “And in terms of high-end product influx into the US, Russians make up a pretty disproportionate cross-section of a lot of our assets; say in Dubai, and certainly with our project in SoHo and anywhere in New York. We see a lot of money pouring in from Russia. There’s indeed a lot of money coming for new-builds and resale reflecting a trend in the Russian economy and, of course, the weak dollar versus the ruble,” he said. Trump partnered with the Bayrock Group, a company run by Soviet immigrants, and according to a lawsuit filed, financed by Russian and Kazakhstan money. Together, they developed Trump properties in Fort Lauderdale, Florida, and New York. They also planned on opening a Trump Tower in Moscow. However, Trump said in a deposition that the plan fell through after media reports began questioning Trump’s net worth. The partners with Russian ties in the United States backed out. Trump’s ties to Russia go beyond business deals. His former campaign manager, Paul Manafort, had connections with Russia that go much deeper, including to Viktor Yanukovych, Ukraine’s former president who fled the country. Yanukovych, who is now in Russia, “called upon Vladimir Putin to send Russian troops into Ukraine,” according to a White House statement. Page, formerly named as a foreign policy adviser to the Trump campaign, spent years in Moscow, where he was “responsible for the opening of the Merrill Lynch office and was an adviser on key transactions for Gazprom, RAO UES and others,” according to his profile on the website of his company Global Energy Capital. At a press conference Wednesday, Trump spokesman Sean Spicer said the president-elect had never met Page. Flynn, whom Trump selected as the next US national security adviser, appears to have a very favorable view of more friendly US-Russia relations. In December 2015, Flynn traveled to Moscow and sat next to Putin at a gala for the Russian news channel RT. He believes the US and Russia should team up and work together more efficiently to fight ISIS. Flynn did, however, express concern regarding the Edward Snowden leak and what intelligence Russia may be able to obtain from those documents. On the heels of Gen. Michael Flynn’s resignation, after he was found to have lied to Vice President Mike Pence about what he discussed with Russia, many are asking questions about other Russian ties in the White House. Former Rep. Jack Kingston (R-GA) was in Moscow in December meeting with American business leaders to discuss what changes are forthcoming in the relationship between the two nations, Raw Story reported. Kingston served as an advisor to Trump on the campaign and is currently a paid Republican commentator to CNN and in an interview with Jake Tapper, he revealed he works for a law firm that has offices in Russia but claimed he was there as a private citizen. Previously named “Friend to Putin,” Tillerson learned that doing business in Russia means being on good terms with the country’s president, Politico reported. It was his job as the company’s manager of Exxon’s accounts in Russia to appease the leader and ultimately scored him the position as CEO of Exxon. During his confirmation hearing, the decade and a half relationship Tillerson has with Russia prompted senators to ask if he considers Putin to be a “war criminal” given his history of support for the Assad regime. He was also hammered on whether he would consider sanctions if the Russians were found to have hacked the U.S. elections. He refused to answer. When it came to being asked about lobbying efforts on behalf of Exxon against Russian sanctions, Tillerson strategically meandered around the truth. “I have never lobbied against sanctions personally… to my knowledge, Exxon never directly lobbied against sanctions,” Tillerson told the confirmation committee. It turns out that claim was false. Government lobbying records show his company paid the Nickles Group over $193,000 in 2014 and 2015 to talk about “issues related to Russian sanctions impacting the energy sector,” Politifact reported. It’s still unclear what Tillerson knew about what Gen. Michael Flynn told to the Russian government and when. As Secretary of State, he should be informed on every facet of foreign policy coming out of the White House. White House chief strategist Steve Bannon told a gathering of European conservatives in 2014 “we, the Judeo-Christian West, really have to look at what [Putin]’s talking about as far as traditionalism goes — particularly the sense of where it supports the underpinnings of nationalism,” the Washington Post reported. That was the same year that Trump was hailed as “the American Putin” by Russian nationalist Alexander Dugin, a philosopher generally referred to as “Putin’s Rasputin” by Breitbart. Dugin’s beliefs on the evils of liberalism have been quoted by Bannon and other far-right leaders, The Chicago Tribune reported. “The Russian ‘equivalent’ of Trump putting Bannon on his security council would be if Putin did the same with Dugin,” former U.S. ambassador to Russia Michael McFaul annotated in a blog post. In the words of former Sen. Howard Baker (R-TN), “What did the president know and when did he know it?” Baker asked that question during the 1973 Watergate hearing that investigated the cover-up that extended all the way to the office of the president. When Trump made his first major foreign policy speech in April, Russian ambassador Sergey Kislyak was seated on the front row. On the same day that Flynn was talking to the Russian ambassador, prior to the inauguration, Trump tweeted that it was a great move on Putin’s part to delay reaction to U.S. sanctions. Acting Attorney General Sally Yates reportedly told the White House counsel that Flynn gave misleading statements about what he discussed with the Russians. According to the Washington Post, Yates further warned that his lies were so egregious that Flynn opened himself up to possible Russian blackmail because Russia knew he lied to his superiors. The White House never made any corrections to their statements and the White House has not revealed what Trump knew and when he knew it. When Trump was asked about the report aboard Air Force One on Friday, he claimed he’d not heard the reports about Flynn but would look into it. It took him a full three days to do so, while Flynn was sitting in national security briefings just hours before he resigned. When asked about this, and his affection for Russian president Vladimir Putin, Trump said any inference that a connection exists between the two is absurd and the stuff of conspiracy. “I have ZERO investments in Russia,” he tweeted after the Democratic National Committee was apparently hacked by Russia and the emails released by Wiki Leaks on the eve of the DNC convention to nominate Clinton as its 2016 presidential candidate. Most of the coverage of the links between Trump and Putin’s Russia takes the GOP presidential nominee at his word—that he has lusted after a Trump tower in Moscow, and come up spectacularly short. But Trump’s dodge—that he has no businesses in Russia, so there is no connection to Putin—is a classic magician’s trick. Show one idle hand, while the other is actually doing the work. The truth, as several columnists and reporters have painstakingly shown since the first hack of a Clinton-affiliated group took place in late May or early June, is that several of Trump’s businesses outside of Russia are entangled with Russian financiers inside Putin’s circle. So, yes, it’s true that Trump has failed to land a business venture inside Russia. 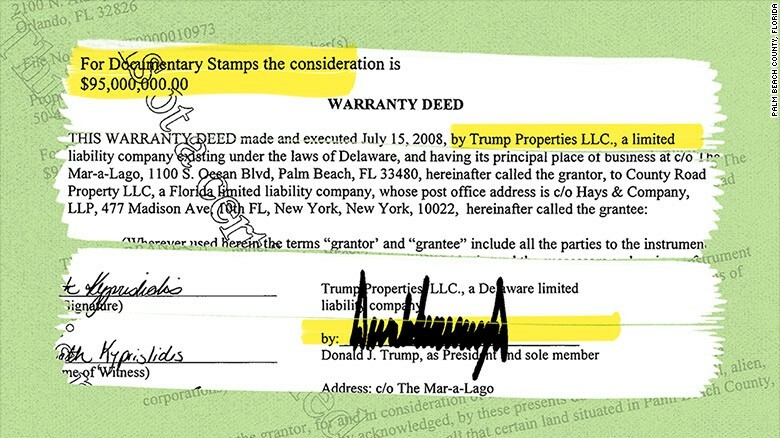 But the real truth is that, as major banks in America stopped lending him money following his many bankruptcies, the Trump organization was forced to seek financing from non-traditional institutions. Several had direct ties to Russian financial interests in ways that have raised eyebrows. What’s more, several of Trump’s senior advisors have business ties to Russia or its satellite politicians. What’s more, three of Trump’s top advisors all have extensive financial and business ties to Russian financiers, wrote Boot, the former editor of the Op Ed page of the Wall Street Journal and now a senior fellow at the Council on Foreign Relations. Trump’s de facto campaign manager, Paul Manafort, was a longtime consultant to Viktor Yanukovich, the Russian-backed president of Ukraine who was overthrown in 2014. Manafort also has done multimillion-dollar business deals with Russian oligarchs. 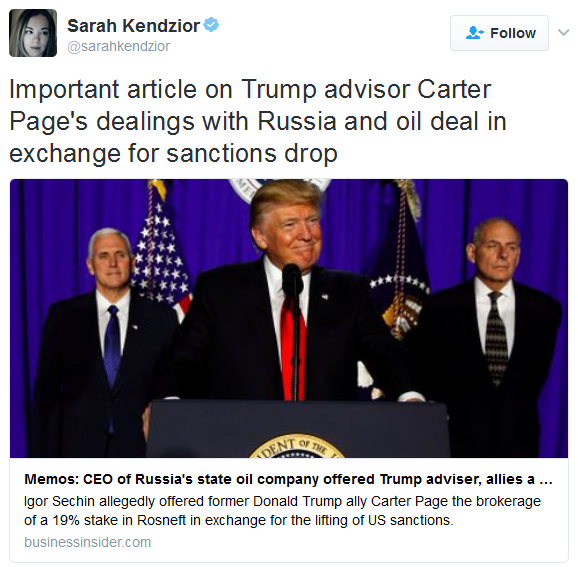 Trump’s foreign policy advisor Carter Page has his own business ties to the state-controlled Russian oil giant Gazprom. … Another Trump foreign policy advisor, retired Army Lt. Gen. Michael Flynn, flew to Moscow last year to attend a gala banquet celebrating Russia Today, the Kremlin’s propaganda channel, and was seated at the head table near Putin. …The most obvious example is Trump Soho, a complicated web of financial intrigue that has played out in court. A lawsuit claimed that the business group, Bayrock, underpinning Trump Soho was supported by criminal Russian financial interests. While its initial claim absolved Trump of knowledge of those activities, Trump himself later took on the group’s principal partner as a senior advisor in the Trump organization. …There are other Russian business ties to the Trump organization as well. Trump’s first real estate venture in Toronto, Canada, was a partnership with two Russian-Canadian entrepreneurs, Toronto Life reported in 2013. “The hotel’s developer, Talon International, is run by Val Levitan and Alex Shnaider, two Russian-Canadian entrepreneurs. Levitan made his fortune manufacturing slot machines and creating bank note validation technology, and Shnaider earned his in the post-glasnost steel trade,” it reported. Finally, for all of his denials of Russian ties lately, Trump has boasted in the past of his many meetings with Russian oligarchs. During one trip to Moscow, Trump bragged that they all showed up to meet him to discuss projects around the globe. “Almost all of the oligarchs were in the room” just to meet with him, Trump said at the time. It is increasingly looking like America “elected” NOT their “saviour”, NOT even America’s First Socialist/Marxist President (that distinction goes to Woodrow Wilson), no, it is increasingly looking like America elected their first foreign groomed, Marxist TRAITOR as their President. Again, let me say that I get NO satisfaction in repeatedly saying that WE TRIED TO WARN YOU. ← An Argument FOR The Ban On Muslim Immigration.